Who takes care of your little angel when she’s out for some work or study? Sluban Educational Block Toys India has got the solution. 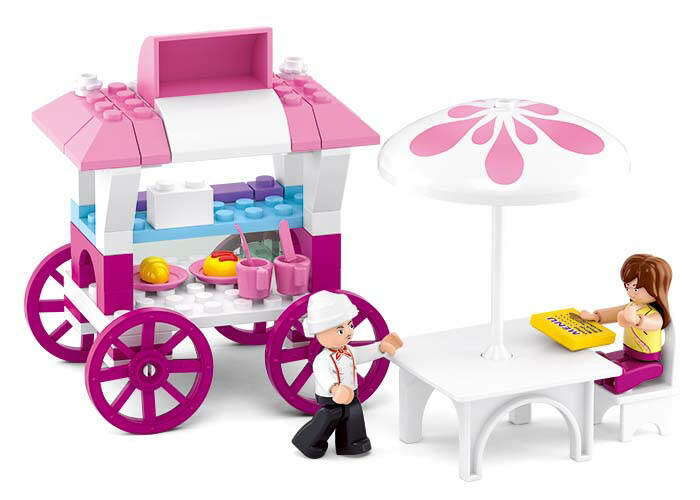 Its building block set of Dining car toy packs all the tastiest food to catch the attention of your daughter.There is oodles of joy in building these simple blocks of toys.This educational and entertaining set of building block toy from Sluban is part of Girls Dream theme Educational Block Toys. The concept food carriage serves as a perfect means to discover the aptitude of cooking food in your child. The food carriage stores all the food and drinks one would love to have on the go. 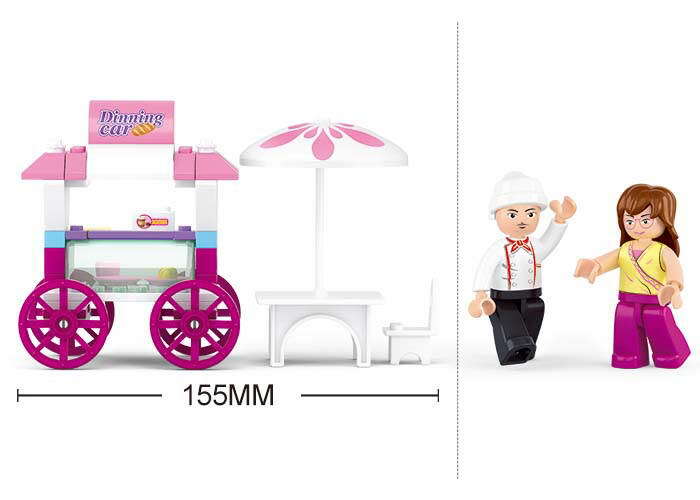 Building block set of toys comes with a waiter toy and the most interesting food carriage. 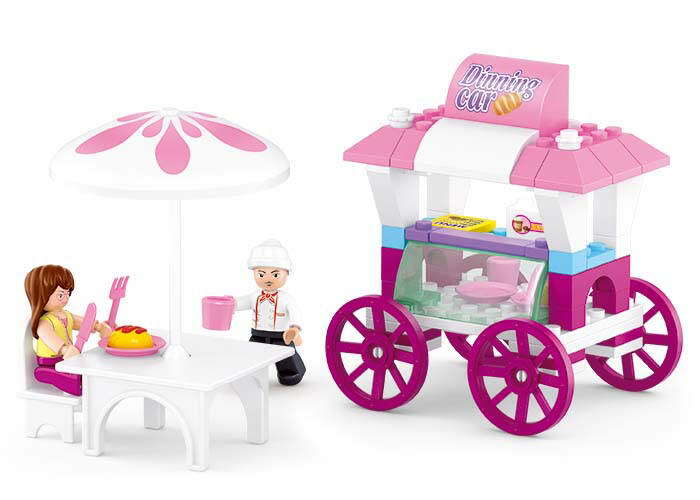 This Educational Block Toy set is complete with food items, drinks and menu to recreate a story of your daughter as a foodie on wheels. These toys develop the cognitive skills in child of six years of age and above. Made of high quality plastic, it is completely safe for your child. This is one of the most preferred options for people looking for Educational toys online. Copyright © 2015 sluban.in All rights reserved.